Kenya’s outstanding national parks and colourful, multi-ethnic cities offer travellers a unique African holiday experience complete with copious wildlife, breathtaking landscapes and a rich cultural legacy. The Kenyan capital, Nairobi, is a vibrant, bustling city centre where visitors can indulge in luxuries unusual to many parts of Africa, such as theatre, film and fine dining, as well as a large number of world class hotels for lovers of luxury to stay in. Animal lovers are sure to be enchanted by this excellent establishment, which is located right next door to a large herd of friendly giraffes. The giraffe theme is followed throughout the hotel which gives it plenty of character and charm. The 1930s manor house boasts just six large and comfortable rooms in the main building and an additional four rooms in a newer building set in the huge grounds, which provides guests with plenty of privacy. Guests who are in need of a little pampering will find a small spa on the site, while the menu speaks of modern European excellence and even the most demanding diner is sure to find something to tempt their taste buds. 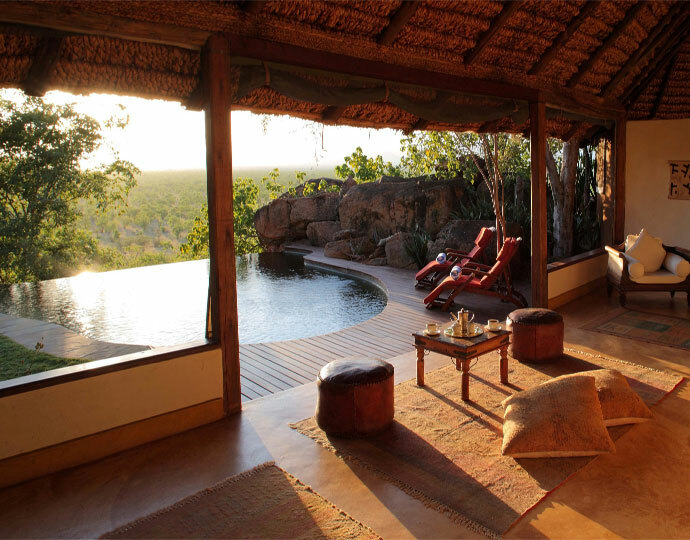 Established by entrepreneur Richard Branson, Mahali Mzuri is set in the large and lovely Maasai Mara and features plenty of contemporary touches as well as plenty of luxury. Every need and want of guests has been anticipated here and guests are sure to love the extra touches such as the binoculars that are supplied so that they can keep a watchful eye over the abundant wildlife that can be found right on their doorstep. 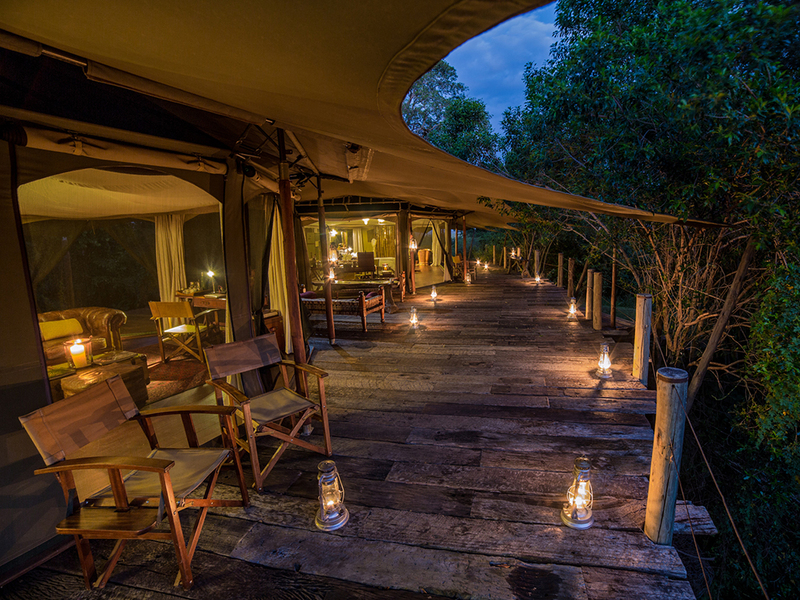 This is one of just four camps in the area and the special safari packages that guests are treated to are second to none. In addition to the usual jeep safari, guests can choose to book a hot air balloon ride so that they can see the area in a while new way, while the pool and spa are great places to unwind in between trips to explore the area. This impressive eco-friendly boutique lodge can be found on the top of Mughwango Hill and overlooks the Meru plains. 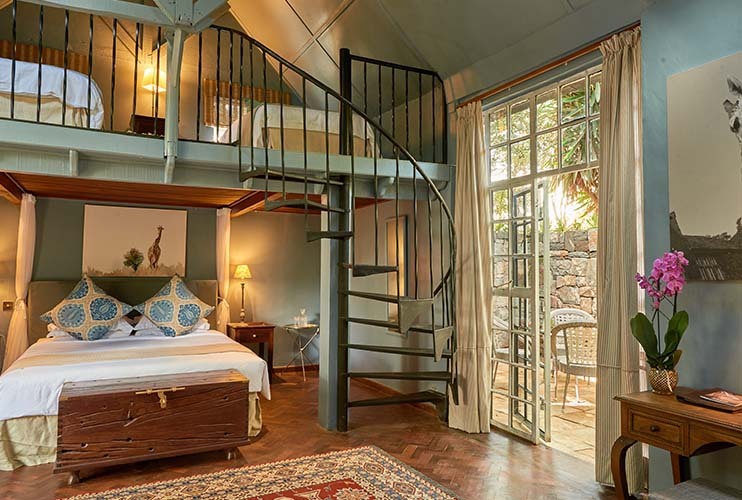 Guests can choose from one of the elegant rustic cottages, which provide stunning views over Meru National Park and a good range of amenities to help make a stay here very comfortable. 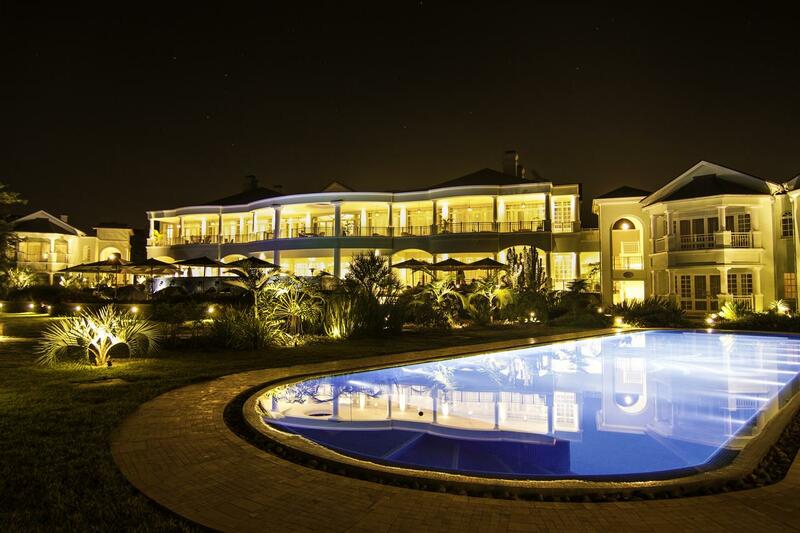 The most luxurious option is the private house, which facesMount Kenya and comes complete with its own infinity pool. The onsite restaurant serves excellent international dishes, most of which boast an authentic Italian influence. A number of activities are arranged for guests to enjoy such as river fishing and trips to the celebrated rhino sanctuary. 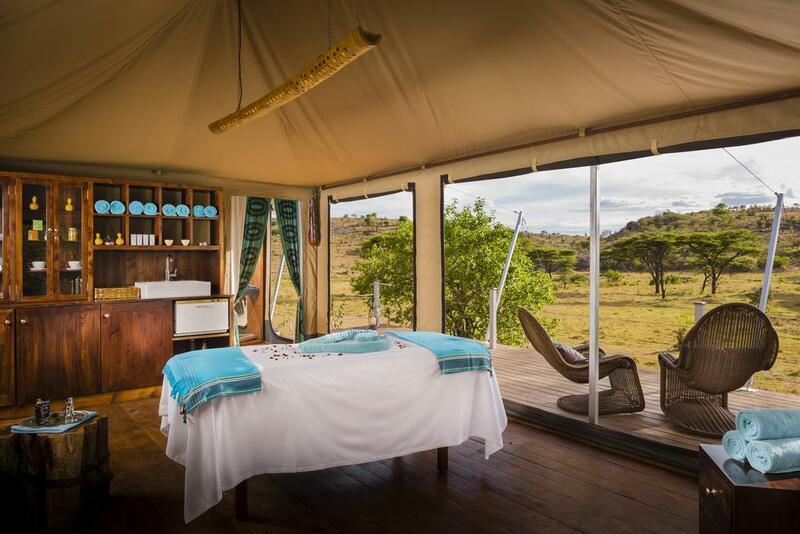 Located in the picturesque Isaaten Conservancy, Mara Plains Camp offers guests the chance to stay in a luxurious tented camp and take advantage of a range of special services such as their very own butler. The onsite spa has been created in the style of a traditional Maasai village and provides a unique touch, while there is also a large swimming pool on the site for guests to keep cool in or soak up the sun on the edge while sipping on a cocktail. There are just twelve tents in total and each comes with a private hot tub. This colonial-style boutique hotel is created in the style that the famous writer would have loved and is set to attract fans who wish to follow in his footsteps. The hotel looks out onto the pretty Ngong Hills and provides guests with plenty of amenities to make use of in between exciting safaris. Although the hotel appears to be extremely large and grand from the outside, there are just 45 rooms in total and they are arranged into six different themed categories. Lovers of pure luxury should secure one of the expansive presidential suites, which feature huge balconies that overlook the picturesque gardens and all include decadent en suite bathrooms. People who are searching for a luxurious place to stay that manages to pack in plenty of character are sure to find that Sarova Mara Game Camp is a great fit. 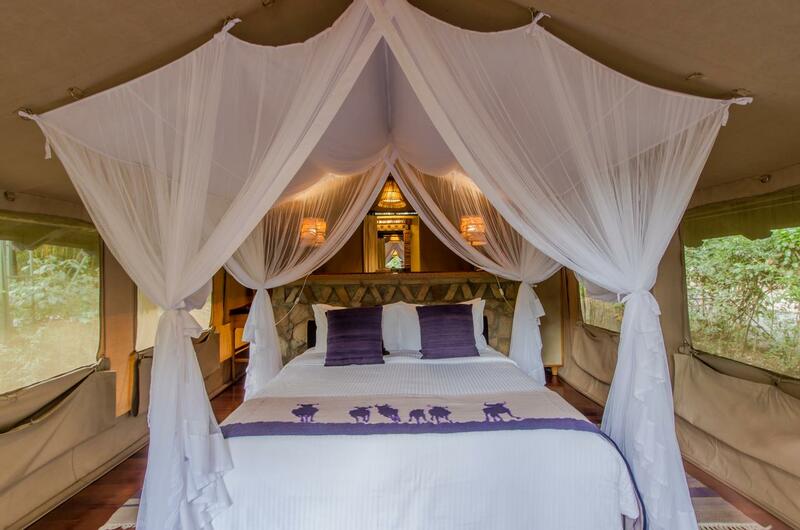 The camp features 73 luxurious tents to choose from and can be found on the edge of a traditional Maasai village. People who want the chance to take part in a wide range of activities can take their pick for miniature golf, bird watching, sport fishing and cultural pursuits, while the sprawling ground that the camp is set on boasts a large pond that is stocked with fish, a small bird sanctuary and plenty of space to unwind. Those who want to take a break from the heat will also find a large swimming pool to splash around in, which also comes complete with a well stocked pool bar.